Xiaomi has made Redmi an independent brand in itself. With the introduction of Redmi brand, the company is also working on new Redmi branded products. The second device to come with Redmi branding from Xiaomi is the Redmi Note 7. 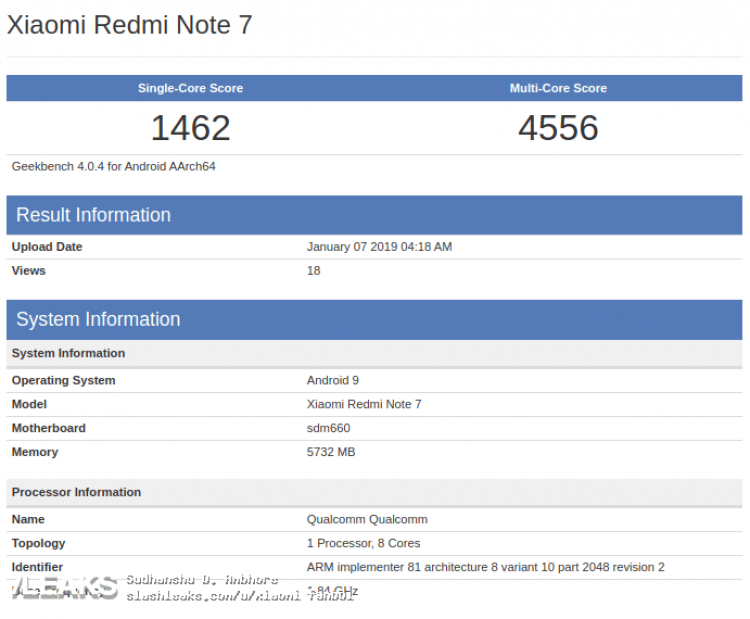 The upcoming Xiaomi Redmi Note 7 smartphone is now spotted visiting the benchmarking site Geekbench. As per the Geekbench listing the upcoming Xiaomi Redmi Note 7 will come with 6GB of RAM in it. The device will be powered by an Octa-Core Qualcomm Snapdragon 660 mobile platform.